AutoSpeed - One of the Most Used Inventions Ever! One of the Most Used Inventions Ever! Mankind’s earliest writing instrument may have been the human finger - with plant juices or blood serving as ink. The next stage of progress in the development of writing instruments occurred around 4,000 BC, when there was developed a technique of scratching the surface of moist clay tablets with a bronze or bone tool. By 1300 BC the Romans wrote on a thin sheet of wax. 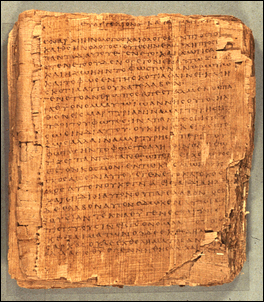 Ancient Egyptian, Greeks and Romans extensively used papyrus as writing instruments. Papyrus was known and used in Greece and it was common until the Middle Ages. Paper was invented in China by the year 105 BC, but the generalized use of paper took a long time. Pens made from the quill of a bird’s feather or from reeds were used as writing instruments from 600 to 1800 BC. Writing with quill pens changed little until the mid 19th century when metallic pens and pen nibs replaced the quill. The fountain pen didn’t appear until the late eighteenth or early nineteenth century when the idea originated of adding an ink reservoir to a quill pen. It is not known exactly when this idea originated, but the first practical fountain pen is credited to Lewis Edson Waterman in 1884, a 45-year old American insurance broker. His design depended on capillary action, in which air replaced the ink as it was used. The inconvenient process of refilling a fountain pen with liquid ink from a bottle was resolved in 1927 when the ink cartridge was invented. Although much better than a steel-nibbed pen, the ink fountain pen was not trouble free. Clogged nibs, messy cartridge changes, slow drying ink and occasional blots in writing all suggested that further improvements in writing technology were needed. 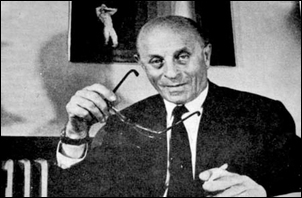 In his work as a journalist, Hungarian-born inventor Ladislao J. Biro customarily used a German-made Pelikan brand fountain pen that annoyingly often stopped writing when he most needed it. 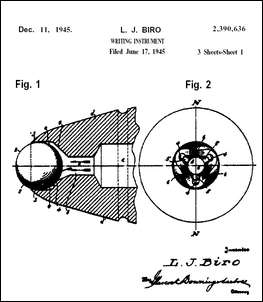 So, in 1933, Biro began working on what became the ballpoint pen. The pen was first patented in Hungary in 1938 after which Biro had a casual encounter with Argentine president Agustin P. Justo when both were visiting a beach resort in Yugoslavia. President Justo liked the pen and offered to manufacture it in Argentina. Biro moved to Argentina, travelling with Juan Gorge Meyne, who became his business partner in 1940. 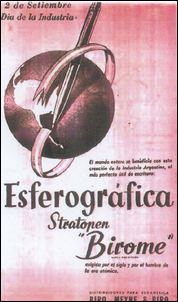 Eventually Biro became an Argentine citizen and founded the Biro-Meyne-Biro Co with his brother Jorge and Juan Jorge Meyne. The idea of a pen using quick drying ink came to him after observing a large press printing newspapers using ink which dried immediately and did not smear. He pondered how to adapt the concept of that huge machine, made up of thousands of parts, to a simple device suitable to hand writing. He conceived of using a tiny sphere at the end of a capillary tube, with special ink that would flow by the force of gravity and dry instantly on paper. Even though gravity action for the ink flow was in Biro’s mind, in early designs mechanical pressure had to be applied to the ink column to make the ink flow. This was because the high precision required for ball fabrication and the proper quality ink were not available at that time. The effective solution came in 1943, when, by using special machinery that improved the quality of the parts, and progress made in the quality of the ink, Biro found that his original concept worked. While experimenting with these concepts, the inventor ran into many difficulties, especially with the ink. The contribution of his brother George, a chemist, was important in the experimental development of the ink in coordination with the different models tested. Quite often, Biro heard criticism of his effort to improve the pen. A detractor said, “You must be mad trying to write with a ball, the writing problem is already solved in our world.” This only made him work harder, constantly trying to figure out a better way to improve the technology. Within the writing tip of a ballpoint pen, a metal ball housed in a socket rotates freely producing a regular line of fast-drying ink on the writing surface. The writing ball is continuously fed ink from a reservoir, which generally is the pen barrel or a tube within the barrel. However, this simple explanation of the ballpoint pen does not tell the full story of the engineering and other challenges faced in creating and mass-producing a satisfactory and economical ballpoint pen. Despite its apparent simplicity, the ubiquitous ballpoint pen is a marvel of mechanical engineering. Its current design and principle of operation is practically unchanged today from Biro’s original concept. 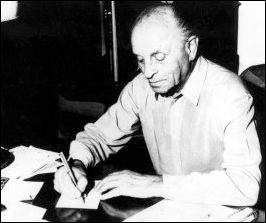 As his work advanced, Biro obtained several patents for the ballpoint pen: in Hungary (1938), Switzerland (1938), France (1939), Argentina (1940 and 1947), and the United States (1944). In 1938, in Budapest, I met Mr. Van den Eyden and Mr. Kovaks, owners of the company Elveco de Vinciens France. I granted them the rights to my patents to trade and manufacture pressure ballpoint pens in France. In 1939 the agreement was signed formally creating the Societé Francaise dé Application des Brevetes L. J. Biro (The French Society of Licences Application L. J. Biro.). Due to the outbreak of the Second World War, this company existed only until September 1939. In the Society Francaise Laboratory, located in Paris at No 152 Boulevard Haussmann, I worked exclusively on the development of the ballpoint pen ink using whole pens, bodies of several models of fountain pens, spare parts and several types of metallic quills, which I imported from Switzerland. I also received ink samples from my brother Jorge Biro, based on his work in Budapest. As is well known, the main parts of the ballpoint pen are the point and the ink, which are strongly interdependent. A type of ink may be good for a given point's design while the same ink would be improper for another point. Therefore it was necessary to make many different classes of ink in order to perform experiments. These days, manufacturers know that acceptable performance of a ballpoint pen depends on the precise dimensions of the point. To get such accuracy required the fabrication of sophisticated machinery to reach such high precision, allowing only very small tolerances. Once a high quality point was obtained through the use of special machines, the appropriate ink for smooth writing was developed. While I was living in Paris, and during the early years in Buenos Aires, I had not seen or fabricated any non-pressurized pens. Any mechanically skilled person would suppose, as I supposed too, that a pen could work with pressure rather than the action of gravity. The point's dimensional accuracy should be ± 1 to I.5 μ (microns). (Note: The gravity action design is characterized by the fact that the ink reservoir is open on its upper end, allowing atmospheric pressure to act on the ink column. In the early designs a screw/piston applied pressure over the ink column). Previously in Budapest, I had made tests based on such ideas and continued doing tests in Paris and Buenos Aires. Those tests were interrupted several times due to the fact that it was not possible to obtain the required fabrication accuracy. In Buenos Aires at the beginning of 1943, I reached a result that was near what was required and it was the starting point for beginning laboratory tests. The tests were performed with a non-pressurized pen design using gravity force for ink feed. Unfavourable results were obtained from these experiments. The point, with a plane or conical seat, didn’t write because the writing force put pressure over the ball and it blocked the flow of ink. The solution came soon after, when three or more slots were made over the ball's seat, allowing the ink to flow. It was evident that a ball in a non-pressurized pen, seated in a circular seat, would block the flow of ink. The capillary pipe construction wasn’t yet in my mind. At the beginning of 1943 I started working on a new prototype based on the utilization of capillarity in a pipette system. In this concept, ink is held between the ball and its seat due to capillarity, which supports a column of special ink inside a tiny tube opened at the opposite end. NB: Capillarity or capillary action is a natural phenomenon that causes the surface of a column of liquid (ink in this case) to change its elevation where it comes into contact with a solid (the tube or ball in this case). This phenomenon involving the interaction of forces of adhesion, cohesion and surface tension, result in the ink moistening the ball. Mr. Ladislao J. Biro established the first company to mass-produce a ballpoint pen and offered it to the general public in 1944. 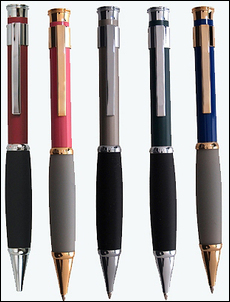 Since the introduction of the ballpoint pen, the Biro Company has continuously improved the quality of the pen. The Biro ballpoint pen patent, with rights to the United States of America, was sold in 1944 to Eversharp-Faber and the Biro Company was sold in 1950 to Parker Pen Co. of Argentina. This company no longer exists. Birome is the trademark of ballpoint pens produced by Biro-Meyne &.Biro Company, and it was made up of the business partner’s names, BIRO plus ME. The extensive popularization of Birome means that nowadays, the ballpoint pen is identified in many places of the world with the original name “Birome.” Other countries know it as the “biro”. Much of the success of the ballpoint pen occurred as design and manufacturing innovations drove down its price. Today, millions of ballpoint pens are manufactured all over the world; they are the world’s most popular ink writing instrument. Ladislao J. Biro died in 1985. *The Birome Ballpoint Pen Collection is an American Society of Mechanical Engineers (ASME) International Historic Engineering Landmark. The text of this story appears by agreement of the ASME. Go to http://www.asme.org/Communities/History/Landmarks/236_Birome_Ballpoint_Pen.cfm for more on this Landmark.